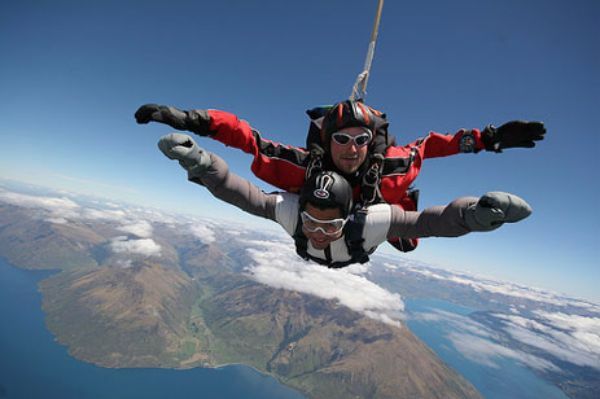 Experience adventure at its most extreme – jump out of a plane from 3000m up and plummet through the sky at 200km/hour – it doesn’t get much more thrilling than this! After the initial high-adrenalin plunge, you will enjoy a gentle 4 to 5 minute parachute glide down to earth, with magnificent views of the city centre, Table Mountain, the Atlantic coast and Robben Island. The tandem sky diving allows you to relish the rush knowing you are in the safe and capable hands of an experienced professional. Jumpers must weigh between 35 and 105 kg.